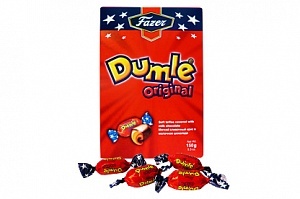 Dumle is a Finnish brand of soft toffee chocolates brought to us by Fazer. 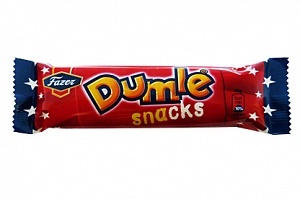 Back in 1945 the well loved Dumle taste started life as a hard toffee lollipop covered in delicious sweet chocolate, the Dumle lollipop is still one of the most popular Dumle products today. 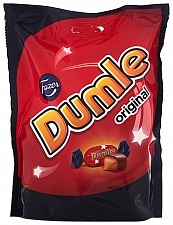 Since Dumle's beginnings, various new flavours of chocolate covered toffee have been released and the great toffee taste has been used in chocolate bars and even a luxurious cocoa powder.